Real Horror: Here’s How Many People Disappeared in the Bermuda Triangle! It’s one of the most mysterious locations on earth. Some feel it serves as a portal to another dimension altogether. Some feel that it’s a magnetic point of the ocean in which opposing tides and extreme ebbs and flows tend to create a vacuum for ships and planes alike. Some feel the electricity in the skies above the Bermuda Triangle tend to create faulty electrical readings and mishaps in the gauges of airplanes. The truth is, we may never know what it is about the Bermuda Triangle that leads to such mysteries disappearances and tragedies. However, we’re going to run through some of the more alarming incidents related to the Bermuda Triangle. Back in December of 1945 Flight 19 disappeared, including 14 airmen. Sadly, PBM Mariner BuNo 59225 and 13 more men went missing while on a search party for Flight 19. In January of 1948 Avro Tudor G-AHNP Star Tiger, en route from Santa Maria Airport in the Azores to Kindley Field, Bermuda, lost a total of 31 individuals, six crew members and 25 passengers. In December of the same year the Douglas DC-3 NC16002 vanished with three crew members and 36 passengers. Recent years have also produced mysterious disappearances: in 2005 a Piper-PA-23 disappeared between Treasure Cay island of Bahamas and Fort Pierce of Florida, three more lives lost to a seemingly supernatural section of the world we know. These are just a few documented cases of aircraft disappearing, there are a myriad of aquatic vessel “incidents” as well. In 1800 the USS Pickering, on course from Guadeloupe to Delaware, disappeared, 90 lives onboard, lost forever. 14 years later the USS Wasp, whose last known position was the Caribbean, disappeared with a staggering 140 people on board. In 1918 the USS Cyclops, collier, left Barbados on March 4th headed for Baltimore, Maryland. The Cyclops would never arrive, nor would the 306 crew and passengers onboard. 1941 was a treacherous year for sea goers. The USS Proteus (AC-9), with all 58 persons onboard was lost to the sea. One month later her sister ship USS Nereus (AC-10) vanished with 61 persons on board. A great number of airplanes and water vessels entered the tumultuous regions of the Bermuda Triangle, to never be seen again. And in another strange occurrence, two lighthouse keepers disappeared from the Great Isaac Lighthouse (Bimini, Bahamas) in 1969. Whether in air on water, or perched in a lighthouse, it seems the Bermuda Triangle yearns for the taste of mortal men. 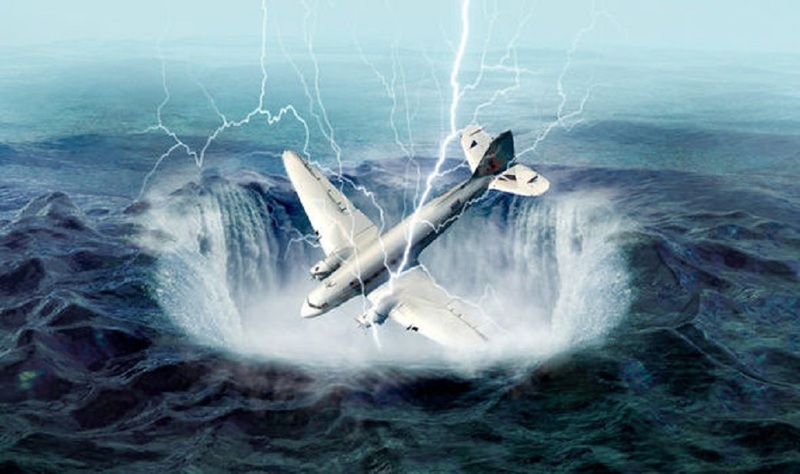 While we haven’t recounted every last incident to occur in or near the Bermuda Triangle, we do have a count (as close to official as I can gather) of the documented lives lost in this treacherous terrain. According to Wikipedia, a total (some unconfirmed) of men and women have vanished in the Bermuda Triangle. In some instances there is proof that some vessels should have never set sail. While we’ll never know a genuine, accurate number of lives lost to the Bermuda Triangle, we can work with the numbers provided by Wiki, which stands at an unbelievable 834. Nearly 1,000 people have gone missing in or near the Bermuda Triangle. Whatever it may be, something strange (possibly supernatural?) is happening in the vicinity of the Bermuda Triangle, and those kind of numbers support such belief.